Hip-hop star Cardi B has now joined an elite category in terms of her music. She recently hit the amazing milestone of surpassing one billion streams on the Apple Music platform. That puts her in a legendary group that includes music heavyweights such as Rihanna and Nicki Minaj. Not too bad for her debut in the music scene. Not only did Cardi B pass that impressive one billion mark in terms of streaming, she did it at a super fast pace. No other female artist has achieved the milestone as quickly as the hip-hop star has. Cardi’s streaming numbers came from the strength of her hit singles “I Like It” and and “Bodak Yellow.” In addition, she dropped her successful debut album “Invasion of Privacy” this past April helping her gain even more streaming presence. Cardi B’s early success has not only shown from her streaming numbers, but also from the award nominations she’s starting to rack up. 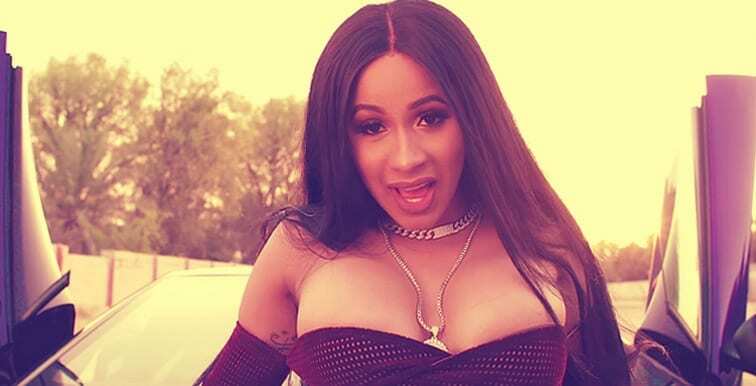 The MTV Music Awards are set to take place on August 20 with Cardi nominated for a total of 10 awards. That’s the most of any musician for the 2018 awards show. Among the awards that she’s nominated for are: Artist of the Year, Best New Artist, and Best Hip-Hop. She’s also nominated along with Bruno Mars for the “Finesse” remix in categories such as Best Collaboration, Best Choreography, and Song of the Year. It’s just the beginning of Cardi B’s music career and if it’s any indication, it will continue to be a stream of success.